If you're looking to do something different, something memorable, take a look at these four unique ideas for wedding favors. When your wedding comes to an end and it's time to hug your beloved guests goodbye, nothing will make you happier than knowing that they are leaving your special day with tired feet from dancing the night away, a full stomach from chomping down on all the food you picked out, and a party favor so that you can send them off with a keepsake memory of your very special day. 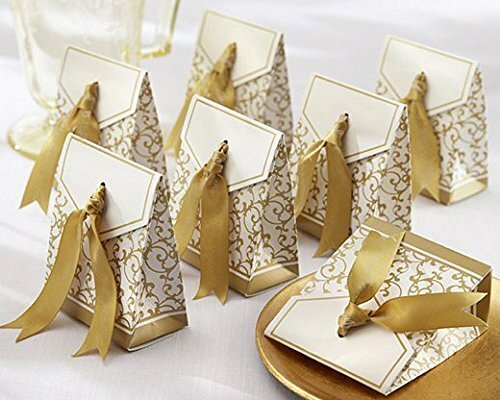 If you're looking to do something different, something memorable, take a look at these four unique ideas for wedding favors. 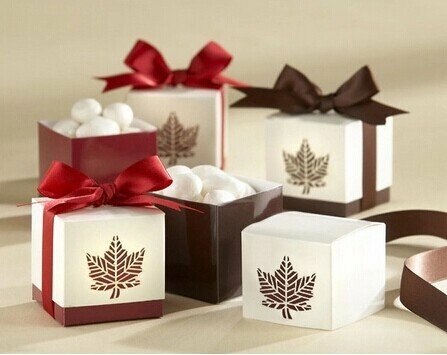 You can think about doing prepackaged candy with a label of your wedding date on it for your guests, or if you're having a late-night candy bar, give them tins or tiny buckets that they can fill up to take some of the candy with them back home. Have a photo both during the last few hours of your wedding and encourage your guests to make funny faces in front of the camera. You can send them home with a strip of photos or even a single Polaroid so that they'll always remember the great time they had. Custom-made bottle openers are a practical favor that you can customize and engrave with a quote or your wedding day. That way, when your guests go to celebrate on their own with a cold glass of beer or wine, they will remember your night. Mini-candles or sweet smelling bath salts are a great way to have your guests feeling relaxed as they recover and shake off all the fun they had at your wedding the day after.